AP/Susan WalshPresident Barack Obama listens as U.S. Attorney Loretta Lynch speaks after Obama nominated Lynch to be the Attorney General. 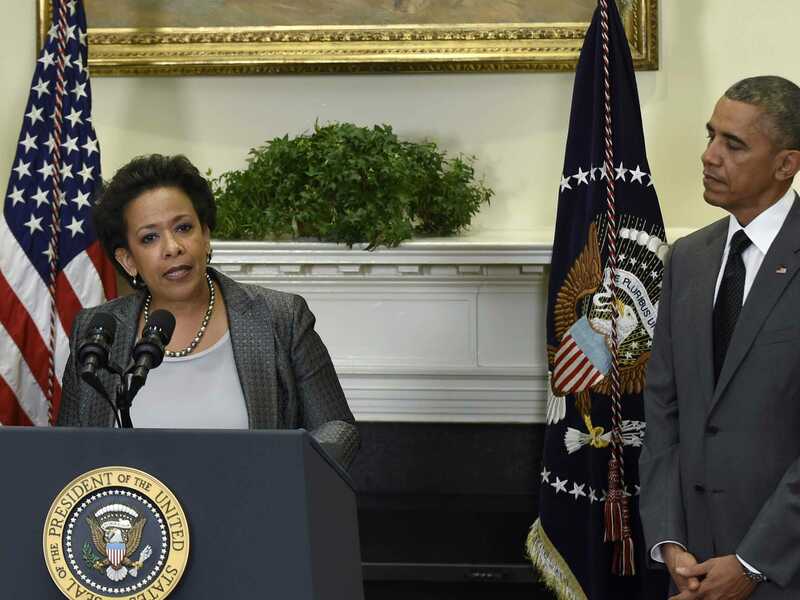 President Barack Obama showered praise on his new pick for attorney general, Loretta Lynch, when he officially announced the choice Saturday morning. “Loretta might be the only lawyer in America who battles mobsters, and drug lords, and terrorists, and still has the reputation for being a charming people person,” Obama said. Instead, Obama insisted Lynch, the US attorney for New York’s eastern district, isn’t interested in seeing her own name in the news. For her part, Lynch said she was “so thrilled, and frankly so humbled” to lead the attorney general’s office. “The Department of Justice is the only cabinet department named for an ideal. And this is actually appropriate because our work is both aspirational and grounded in gritty reality,” Lynch said. If confirmed, Lynch will replace outgoing Attorney General Eric Holder. Holder announced his resignation in September, but he vowed to stay on the job until his successor is confirmed by the US Senate.